The Santa Clara Stadium Authority and the 49ers have selected West Coast Turf’s Bandera Bermuda for the playing field at Levi’s® Stadium. Installation of 2.5 acres of sod is set to begin the morning of Thursday, April 17. Media will be invited for an up-close look at the new playing surface on Monday, April 21. Details regarding the media availability will be distributed at a later time. 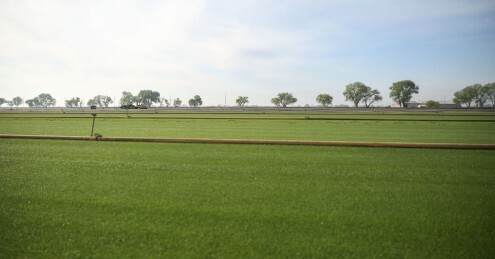 After extensive research and side-by-side simulated turf trials, Bandera Bermuda was selected as the go-to variety. Many factors influenced the selection of Bandera Bermuda: environmental conservation, macro/micro-climate, frequency of additional event scheduling, and player safety. Bandera Bermuda uses up to 50% less water than the average turf varieties prevalent in this market area. It holds its green color longer and has a longer growth period than any other available bermuda. Bandera Bermuda also exhibits the quickest growth regeneration in worn areas when compared to other varieties of grass. Although the 49ers home opener has not yet been scheduled, the field’s first action will feature another hometown team – the San Jose Earthquakes – in a soccer match versus the Seattle Sounders FC on August 2.